Phew, we just had an incident in town - more embarrassing than worrying, I think. We were walking past a bull-type terrier when it started going wild, snarling snapping, barking and baring its teeth. Twiglet was brilliant and I was concentrating on walking her calmly past - when I fell! I managed to have the presence of mind to keep hold of her lead but soon had a crowd round me *blush* they were very kind and helped me up and Twiglet then looked at the dog (which was still going mental) and woofed, but was soon re-focussed - good girl! I have two bruised knees and a lot of wounded pride. She recovered in no time and we finished our walk and bus ride home. 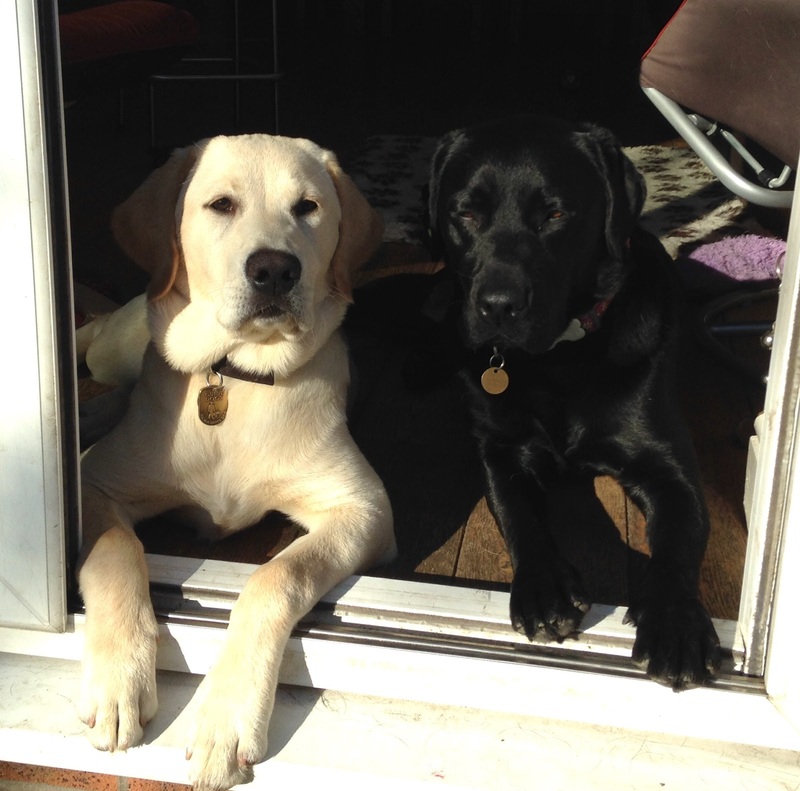 Here she is now (Yellow Lab/GR 23 weeks) lying down and surveying the garden in the sunshine with Tatze (pet black Lab). My thought was - what if she were a guide dog and her owner couldn't see the bull terrier?